Contact Miramar Truck Accident Lawyers Gerson & Schwartz, P.A. Miramar has a population of 133,741 with an average age of 35.9. It is in Southwest Broward County, bordering Pembroke Pines, Hollywood, and Miami Gardens. Zip codes for Miramar include 33025, 33027 and 33029. The average commute time is near 30 minutes. 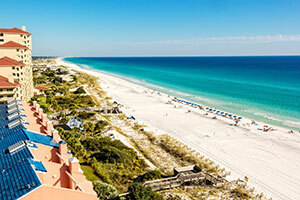 Miramar can be accessed through several highly travelled roads, including I-75. US 27, the Turnpike and 441. The city’s proximity to major highways increases the numbers of large trucks carrying construction materials or semi-trailers transporting goods to Miami, Fort Lauderdale or West Palm Beach. These dangerous conditions can cause injury and even death to truck accident victims. Large commercial and construction trucks weigh, on average, 20 to 30 times that of a regular passenger car. Trucks will full loads may need 20 to 40 percent more room to stop than a vehicle. Wet and slippery roads will increase the space trucks need to stop. The sheer size of these trucks and the weight of their loads can make it difficult to change lanes, slow down, or stop. Large trucks losing control can cause serious accidents with other vehicles on the road, often resulting in injury or death. If you or a loved one is a victim of a truck accident, contact our Miramar truck accident lawyers at Gerson & Schwartz for help. Victims of truck accidents may need significant medical treatment and may be unable to work. Their vehicles may be severely damaged or inoperable. Our clients often have questions about these issues and we can help you through the process. If you’ve lost a loved one in a truck accident, we can assist you with a wrongful death claim. 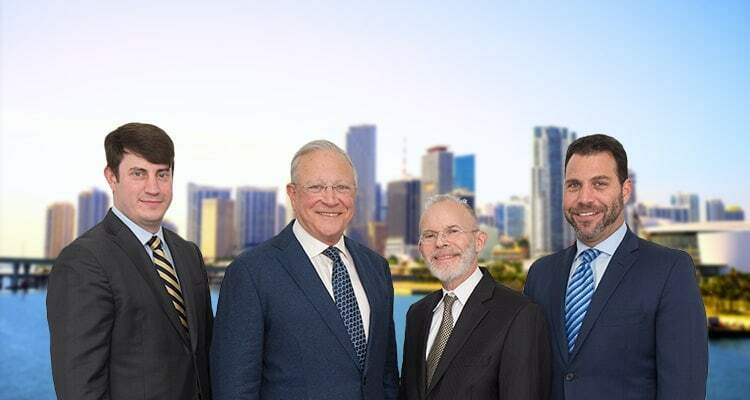 If you’ve suffered injuries as the result of a large truck accident and would like to speak to our Miramar truck accident attorneys, contact Gerson & Schwartz at (305) 371-6000 for a free consultation. Large trucks are often operated on behalf of trucking companies. This brings an added complexity to a truck accident claim as multiple parties may be liable. The investigation by your Miramar truck accident lawyer needs to begin as soon as possible. Evidence can disappear. Truck drivers can leave the area. Records for maintenance and repairs can be manipulated. Proper evaluation of those responsible parties involved in a truck accident is essential to any claim. Our Miramar truck accident attorneys at Gerson & Schwartz have helped truck accident victims for more than 40 years and they know what to do. You just need to call (305) 371-6000 so we can get to work for you. Accidents involving large commercial trucks are complex cases. We can answer your questions about compensation and medical treatment. If you have been injured as the result of a truck accident, give our Miramar Truck Accident Lawyers a call today at (305) 371-6000. We are ready to help.